The national intellectual property offices of the 10-member Association of Southeast Asian Nations (ASEAN) this week are advancing work on developing a regional trademark registration system, according to European Union sources working with them. The meeting is taking place from 18-20 February, and includes combined consultation meetings on trademarks, designs and IT. A backgrounder is available here. The trademark meeting draft agenda is here, design meeting agenda here, and IT meeting agenda here [all pdf]. The members of ASEAN are Brunei, Cambodia, Indonesia, Laos, Malaysia, Myanmar, Philippines, Singapore, Thailand, and Vietnam. 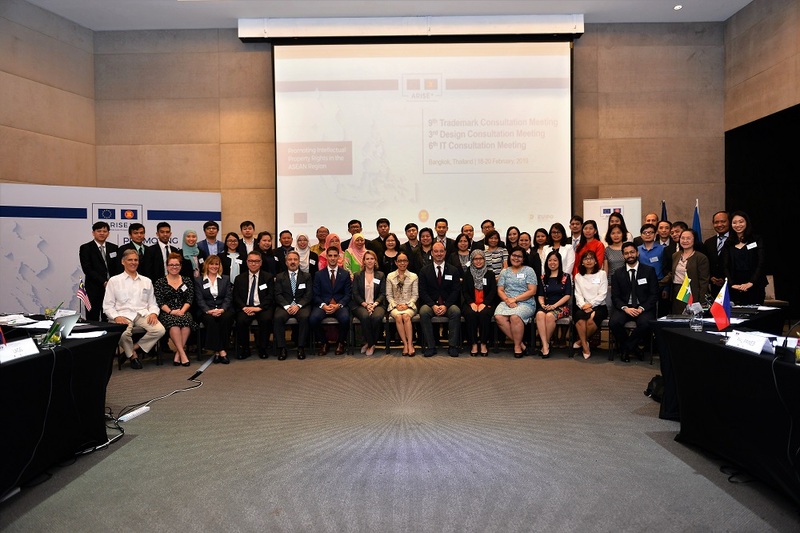 Representatives of the IP offices met in Bangkok, Thailand with representatives of the European Union and the World Intellectual Property Organization. All offices have representation at the meeting, a source said. “At this stage, the trademark meeting aims to obtain further feedback from the ASEAN IP offices on the scope of the feasibility study,” a spokesperson for the EU IP Office told Intellectual Property Watch. The process and timeline for developing the trademark system “will depend partly on the results of the feasibility study, which is foreseen to commence over the coming months,” he said. A regional trademark system “would potentially reduce the time for businesses to register their trademarks across all ten ASEAN Member States and create greater certainty on registration procedures, ultimately improving the ease for businesses to operate in the region and fostering new investment,” ARISE+IPR said in the release. “The discussions today represent a significant step forward on the path of regional integration and the convergence of IP systems in ASEAN, and towards the economic benefits that result,” ARISE+ IPR Project Leader Ignacio de Medrano Caballero was quoted as saying during opening proceedings. Other regional initiatives discussed included updates to the ASEAN trademark examination guidelines and the establishment of an ASEAN IP academy, ARISE+IPR said. “The feasibility study on a regional trademark system is one of a series of activities being conducted by the five-year, EU-funded ARISE+ IPR programme to promote regional integration of intellectual property regulation in ASEAN Member States,” it said. "ASEAN IP Offices Discuss Regional Trademark System" by Intellectual Property Watch is licensed under a Creative Commons Attribution-NonCommercial-ShareAlike 4.0 International License.